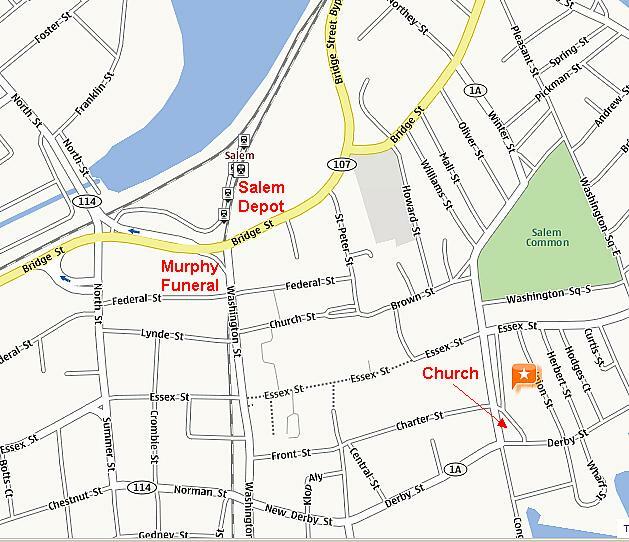 From materials available from the Murphy Funeral Home Web site (Salem, MA). SALEM - Edward P. Perruzzi, age 59, of Salem, formerly of Newton and Boston, died unexpectedly on Tuesday, January 17, 2012. Born in Paterson, NJ the son of Evelyn N. (DeLuccia) Perruzzi and the late Edward J. Perruzzi, he attended local schools there. Following his high school graduation, he began to pursue a hair stylist career and attended the Capri Institute for Hair. However, his curiosity and quest for education got the better part of him, so he returned to school and also received his bachelors degree in psychology from Rutgers College, became a certified acupuncturist at the New England School of Acupuncture, and became a master chef through Le Cordon Bleu. Combining his many talents and skills with his love of people, Ed established, co-owned and managed the Icon Hair Salon in Newton Center. Full of life, his greatest pride and joy was being a dad. He was dedicated to his two sons George and Jay, and he took great pride in them. A colorful man, full of life, Ed also enjoyed entertaining a large circle of friends. In addition to his mom and children, he is survived by a sister Janice and her husband John Korpusik of Salem and several cousins and extended family in NJ. His funeral will be held on Monday, January 23, 2012 at 8:15 AM from the Murphy Funeral Home, 85 Federal St., (corner of North St) Salem. To be followed by a funeral Mass at 9:00 AM in the Immaculate Conception Church, 15 Hawthorne Blvd., Salem. Relatives and friends are respectfully invited to attend. Visiting hours will be Sunday January 22 from 4:00 PM to 8:00 PM in the funeral home. Take Rt 95 (128) to Rt 114 in Peabody/Danvers. Exit onto Rt 114 toward Peabody/Salem and follow markings for Rt 114. There will be several turns after leaving Rt 95 but it is well-marked. You will cross over a small bridge going into downtown Salem. 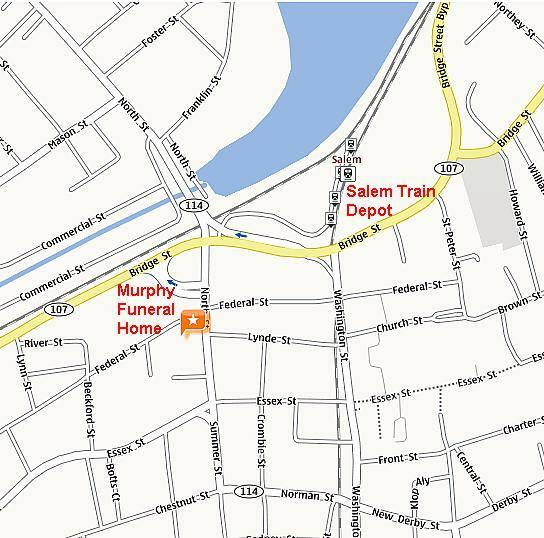 Immediately after crossing the bridge the Murphy Funeral Home will be seen on the RIGHT at the corner of North Street (Rt 114) and Federal Street. There is ample parking on site. By Train: MBTA commuter rail to the Salem Depot Station. Visit www.MBTA.Com and check the Sunday schedule for the trains to Rockport/Ipswich. Trains operating on Sundays are on an abbreviated schedule. By Bus: MBTA Bus #450W or #455W departing the Wonderland Station on the MBTA Blue Line, to Salem Depot. Schedules at www.MBTA.com. There are other busses connecting downtown Salem from other points. See the MBTA web site for specifics. From Salem Depot: Walk to the stairs and go up to Bridge Street above the station. Cross with the pedestrian signal and proceed straight on Washington Street a few hundred feet to Federal Street. There turn RIGHT and walk one block to North Street. Cross North Street. The funeral home is on the corner. The church is located at the intersection of Hawthorne Blvd and Derby Street between downtown Salem and the Pickering Wharf area.